Here comes the Victoria Day long weekend! Many Canadians do not realize that Queen Victoria’s birthday on May 24th is NOT observed internationally. Our Commonwealth sister countries celebrate the current Queen’s birthday in June. It is only Canada that takes a day off to honour the infamous Queen Victoria. This year, Victoria Day will be celebrated on May 21th. Our holiday is always the weekend before the American Memorial Day event. The Canadian Federal government protocol dictates that our original flag, the Royal Union Jack , be flown from sunrise to sunset on a second flag pole at all federal government buildings. This includes airports, military bases and other Crown owned property across the country. Additionally (where physical arrangements allow) a Royal 21-gun salute will be fired in each of our provincial capitals and in the national capital at noon that day. Where is Victoria Day celebrated in Canada? Victoria Day is a statutory holiday celebrated on the Monday proceeding May 25th in Alberta, BC, Manitoba, NWT, Nunavut, Ontario, Quebec, Saskatchewan and the Yukon. So who are the party poopers? That would be the Maritime Provinces of Nova Scotia, New Brunswick, PEI, Labrador and Newfoundland. (Nova Scotia also does not count Thanksgiving or Boxing Day as holidays either!) Actually, Newfoundland celebrates Commonwealth Day the same weekend and it kicks off the start to their gravel pit parties & camping weekend. Victoria, BC is the Canadian namesake city of her royal highness and likely holds the grandest party of all. Led by the Canadian Forces, more than 120,000 spectators will be watching Victoria’s British roots be displayed with a parade featuring Canadian and American marching bands, musical floats, cultural entries and festive clowns. In Ontario, the Victoria Day holiday has become distinctively known as the “May Two-Four Weekend” to honour (Yes, that IS THE RIGHT SPELLING!) their love of a case of 24 beers and the beginning of their cottage-cabin weekend. For those that remain in the city, Toronto puts on a spectacular fireworks display that can be seen from restaurants, high-rises or from a boat on Lake Ontario. Since 2002, Quebec has added the celebration of Fete de Dollard – National Patriotes Day to the national holiday. This is in honour of the French-Canadian patriots who fought for democracy in the Lower Canada Rebellions between 1837 and 1838. Typically, what do Canadians think of doing on Victoria Day? Most people across the country consider that Victoria Day marks the end of the long winter and the unofficial start of the spring/summer season. 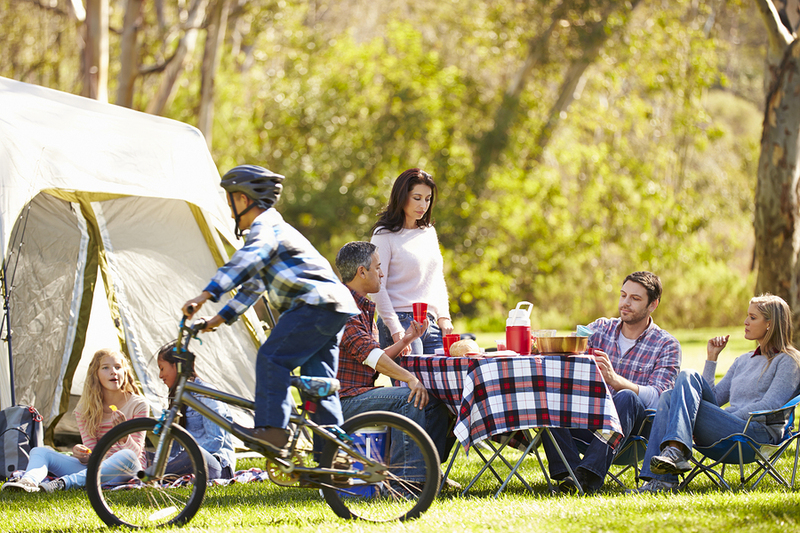 Families who aren’t out planting their flower and vegetable gardens may be found helping open summer businesses, Provincial Parks, outdoor restaurants, riding rented bicycles or exploring outdoor farmers and night markets. In Vancouver, we will see lifeguards begin their role of supervising local beaches. Simultaneously, this long weekend signifies the end of the ski season at resorts such as Banff’s Sunshine Village and in Whistler, BC. Hmmmm, interesting to note – last year Victoria Day wasn’t without controversy. A prominent group of actors, authors, and politicians, among them Margaret Atwood, Green Party leader Elizabeth May and actor Gordon Pinsent, petitioned Prime Minister Stephen Harper to rename the holiday to “Victoria and First Peoples Day“. The request was made to commemorate the contributions made by aboriginal populations to Canada’s heritage. Queen Victoria was barely five feet tall, had a very outspoken nature and imposing reputation. The Queen was the first known carrier of hemophilia, an affliction that would become known as the “Royal disease”. Victoria was raised by a single mother, and later became a single mother herself. Victoria’s mother spoke German at home and even though Victoria ruled England for 64 years, she never learned to speak perfect English. As a child holly was put under Victoria’s collar to irritate and train her to keep her chin up. Queen Victoria was the last teenager to rule England. Victoria first met her future husband (and cousin), Prince Albert of Saxe-Coburg-Gotha, when she was 16. When she was 20, Victoria proposed to him, not vice versa. They produced nine children. There were at least six serious assassination attempts made against Victoria during her reign — most of which while she was riding in her carriage. 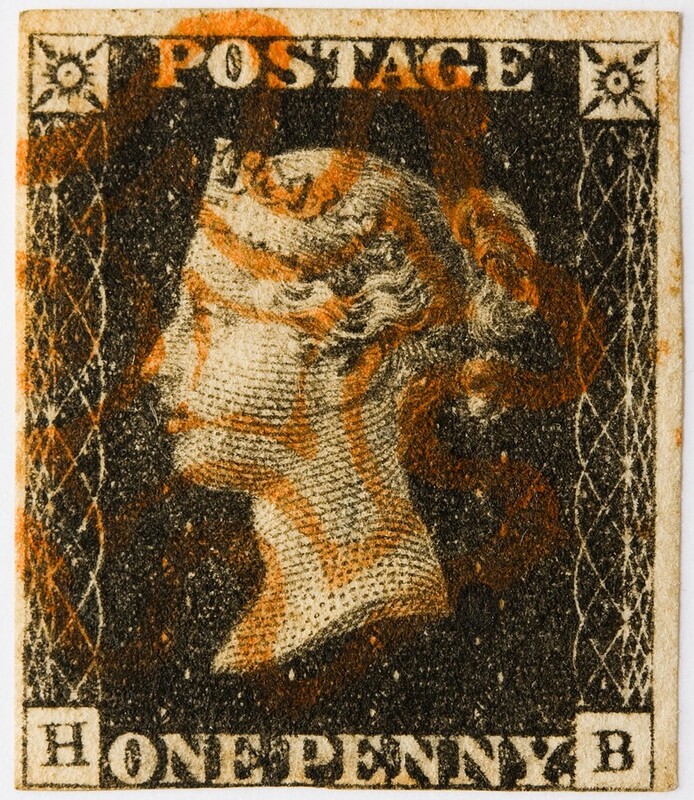 The earliest postage stamps in the world (first used on May 6, 1840) were the Penny Black of the United Kingdom and had the head of Queen Victoria on them. During her lifetime she published her Letters, Leaves from the Journal of our Life in the Highlands and More Leaves. An era was named after the Queen – The Victorian Era – a time of economic and imperial expansion. 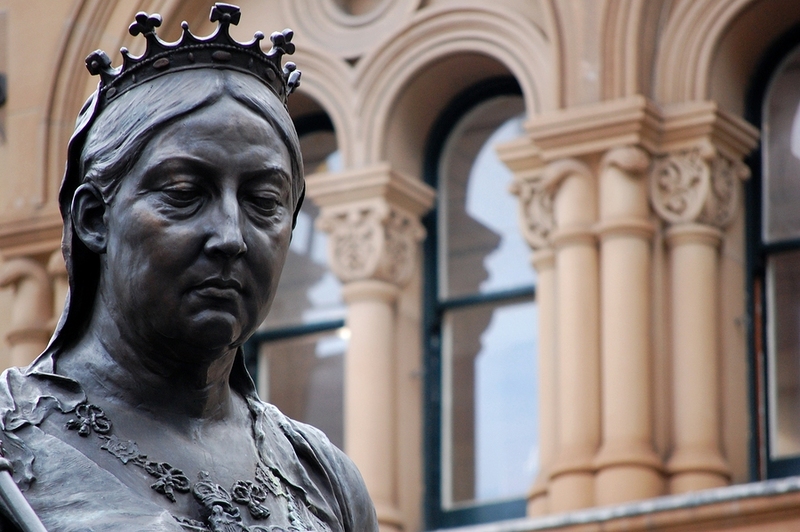 Queen Victoria was the longest reigning monarch in 1,000 years of British history. Her great-great-granddaughter, Queen Elizabeth II, will overtake her in 16 months. And on another note – Happy Wedding to our adorable Prince Harry and his soon to be wife, Megan Markle.